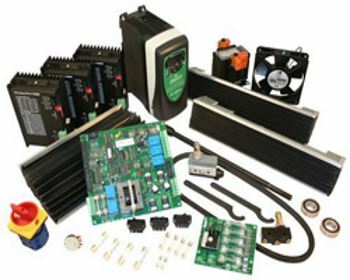 We can source, supply and install many CNC Control parts, this includes full PCB boards, electronic components, power supply parts, AC/DC drive, AC/DC motor parts, motor brushes, hard to find second hand parts plus much more. We will most of the time also install these new or second hand parts if they are part of a repair as well as configure and optimize. On older machines locating parts can be difficult, time consuming and expensive, however IES has numerous contacts in the Machine Tool industry and have located parts for clients through our extensive network of contacts, we will even arrange the sale of parts from current clients who may have the same machine and or spare parts for the same or similar machine. IES has a good name in the industry, we are well known for going the extra mile for clients, to locate important parts and back this with superb repair services. * Brand new components, all types, we cover nearly all spare parts for CNC Controls. * Second hand parts, IES can advise and provide when available. * Hard to find parts, for machines that have no easily available replacement parts. 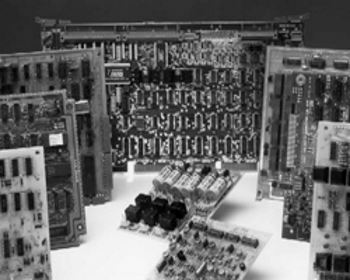 * Electronic part supply as well as installation on component level repairs. * For big items, IES can forward details for clients to buy direct from supplier. * Huge network of contacts, extensive knowledge of where to locate essential parts.